For the diverse requirements of our clients, we are engaged in offering an extensive range of Polycarbonate Compact Sheet to meet the needs of our customers. As the name suggest this sheet is highly compact in design and ensures long lasting service. Moreover our entire range is highly durable and offered at reasonable rates. 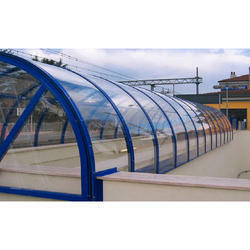 we are providing a comprehensive range of Compact Polycarbonate Sheets. 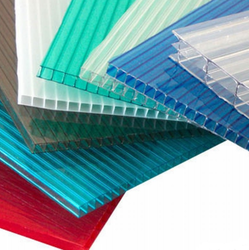 To meet the varied requirements of our esteemed customers, we offer these polycarbonate sheets in different thickness, length and colors. With aim to offer defect-free range at the clients' premises, our team of quality controllers conduct quality checks. We are dedicatedly engaged in manufacturing and exporting a unique range of Polycarbonate Compact Sheets to our prestigious clients. They are transparent sheets and have high light transmission coefficient it has UV protection on both the sides and is being offered in different sizes to meet the requirements of the clients.